In no particular order: it was great to be back there, catch up with old friends, and do a lot of eating. But even before the food photos — a quick and easy recipe. 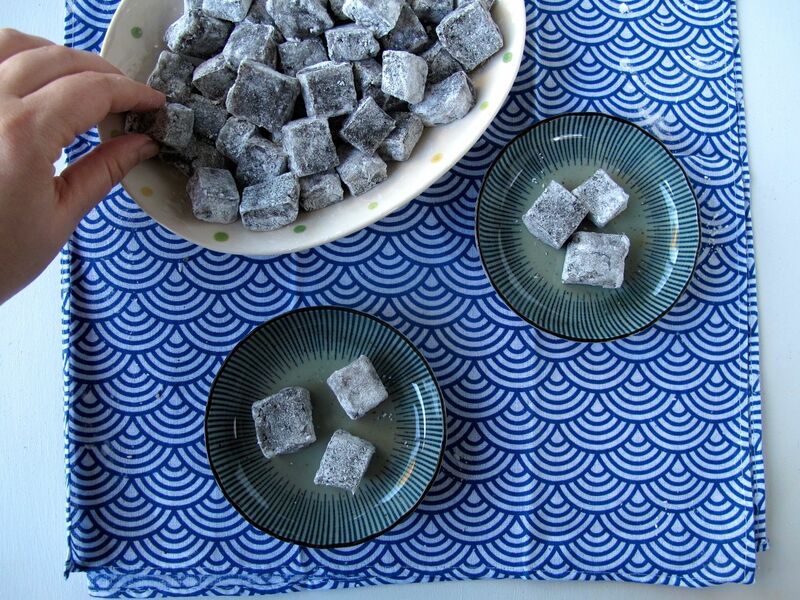 Yes, it is actually easy to make sweet, sticky, chewy mochi dumplings, as long as you’re not doing it the traditional way, where you endlessly pound the mochi rice (mochigome) yourself. 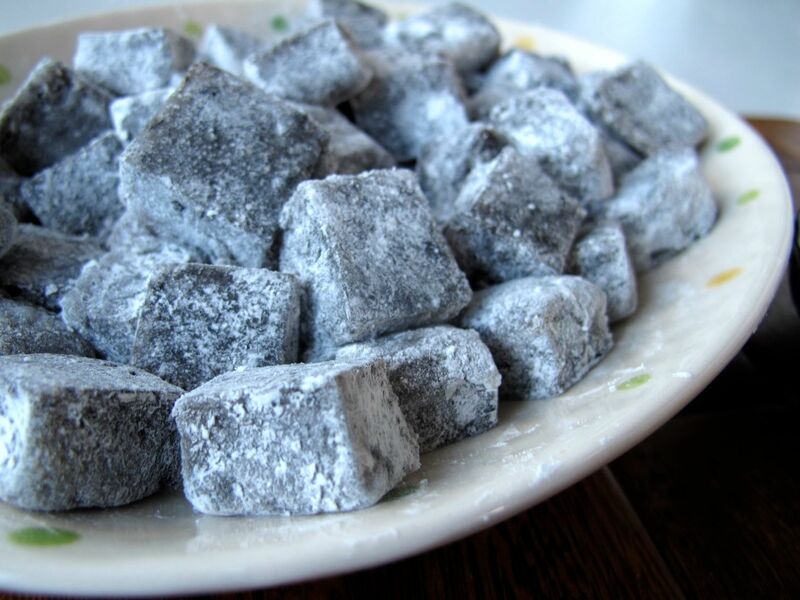 The first shortcut here is using mochi flour (mochiko), also called “sweet rice flour” or “glutinous rice flour” despite the fact that it is not sweet and does not contain gluten. 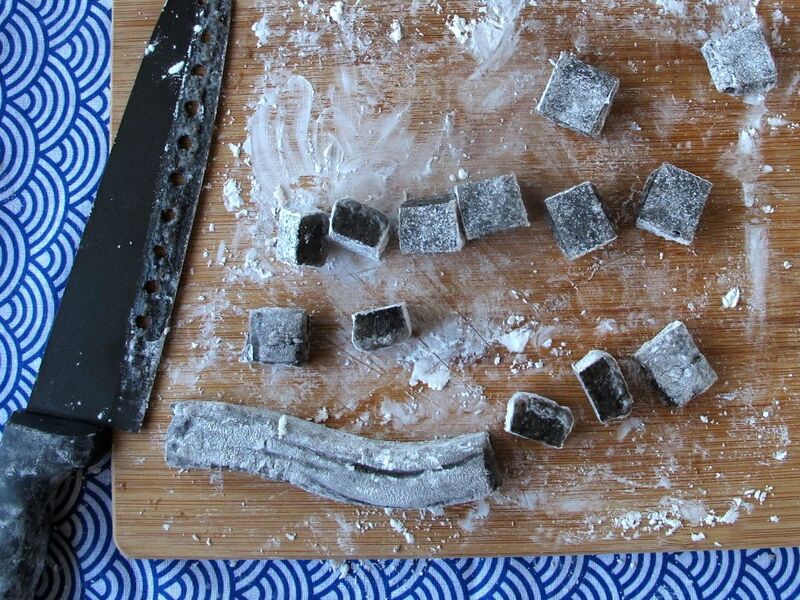 It does, however, behave in a way that resembles gluten, to give you that sticky, delightful texture, which — for me — is what makes mochi so enjoyable and addictive. The second shortcut is baking it in the oven (rather than steaming it), based on this technique (thank you, Cynthia!). 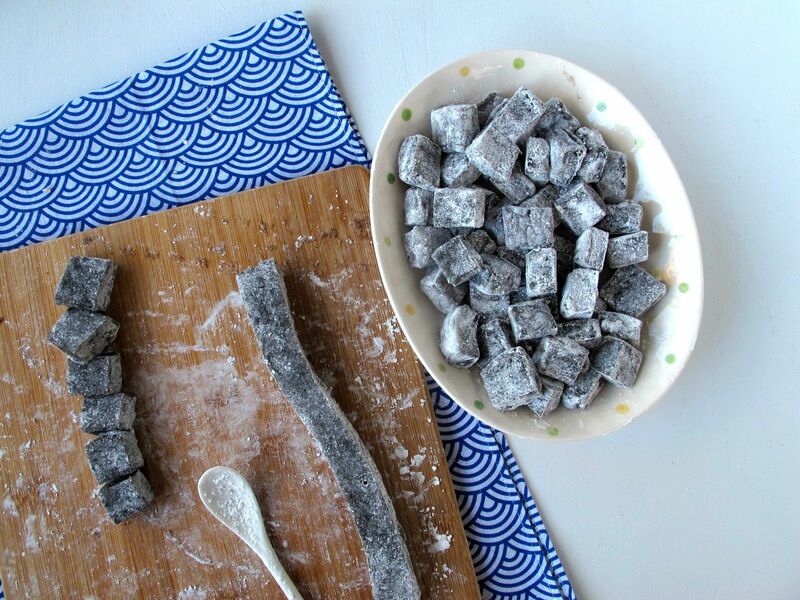 With texture out of the way, let’s talk flavor: this is not plain rice mochi, but dango (dumplings) sweetened up with plenty of sugar, but then mellowed out again with plenty of nutty toasted black sesame (and a hint of sea salt). Few flavors excite me more than black sesame, especially in a dessert-y context: it’s my weakness. And these mochi dango are definitely sweet enough to be considered a dessert. But they’re also filling enough to be a very satisfying snack. 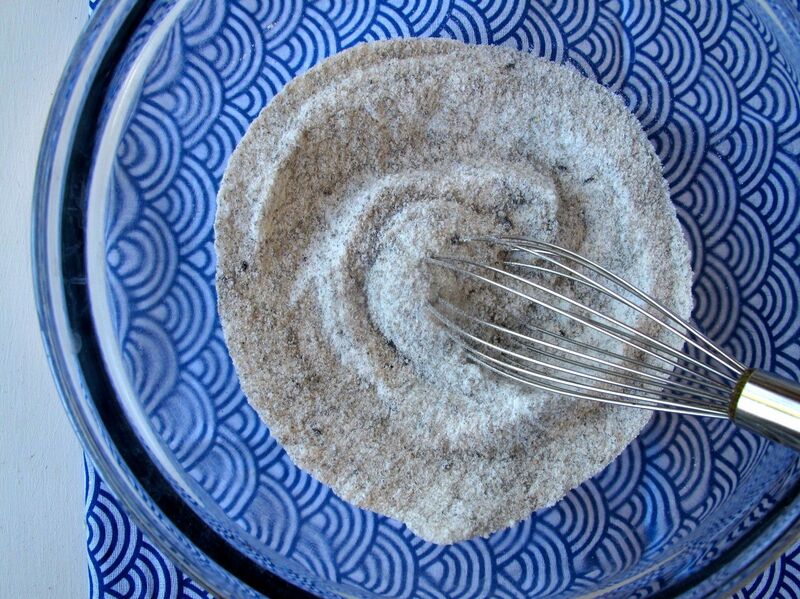 If you leave out the black sesame (and/or substitute a different flavor… matcha? cocoa?) you’ll end up with the mochi that’s often served as a topping in frozen yogurt shops in the U.S. This type of mochi dango is similar to kibidango, which is the type of sweet mochi famously (in Japan) featured in the story of Momotaro and produced in Okayama, where I used to live. Kibidango differs from other mochi in not being skewered on a stick, so the outside is lightly coated with starch or flour, to keep it from sticking to your fingers when you pick it up to eat it. The only real differences between this homemade mochi and kibidango are that most kinds of kibidango contain several types of flours, not just mochiko, and that — as with most dango — kibidango are rounded balls rather than sliced rectangles (i.e., they’re skillfully/miraculously shaped while the steamed mochi is still hot). Kibidango from Okayama has become my go-to souvenir to bring home to a few lucky friends/professors/co-workers every time I visit Japan. 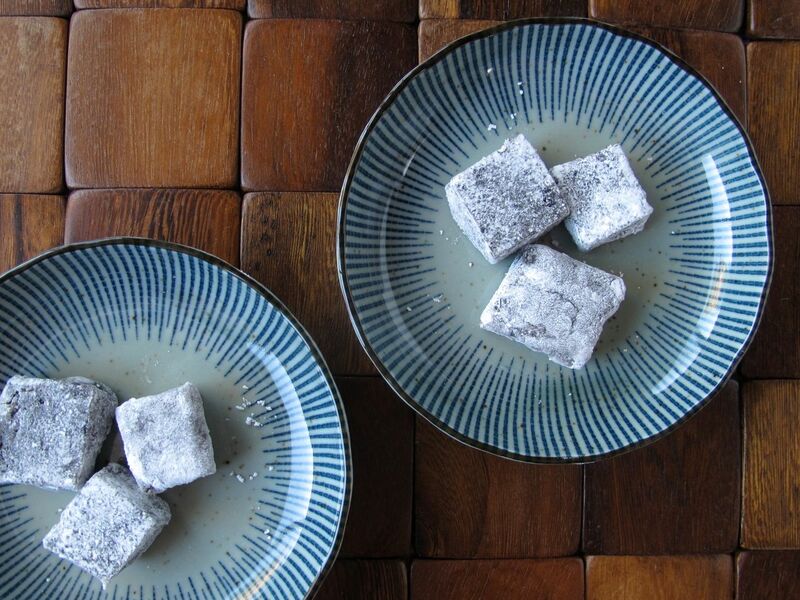 Some of the most popular flavors are white peach and muscat (since Okayama is famous for those, too), and kinako (soy bean powder), which is used on lots of types of sweet mochi dango, including warabimochi. But my favorite flavors of kibidango are brown sugar, sea salt, and black sesame. Adapted from Plain Mochi by Cynthia of Two Red Bowls (on Food 52). Active time: 15 min. before baking & 15 min. after; Total time: 1 hour 35 min., plus cooling time. 1. Pre-heat the oven to 275 degrees. 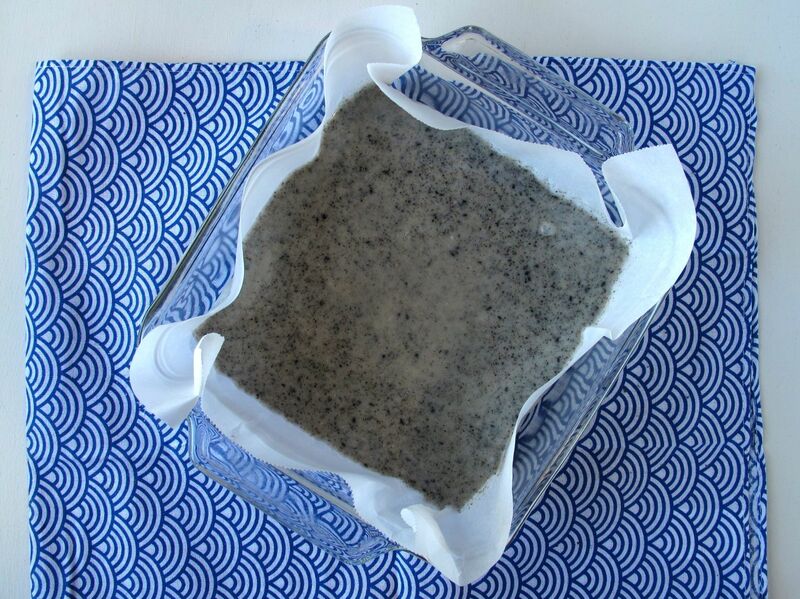 Line an 8×8 glass or ceramic baking dish with parchment paper. 2. 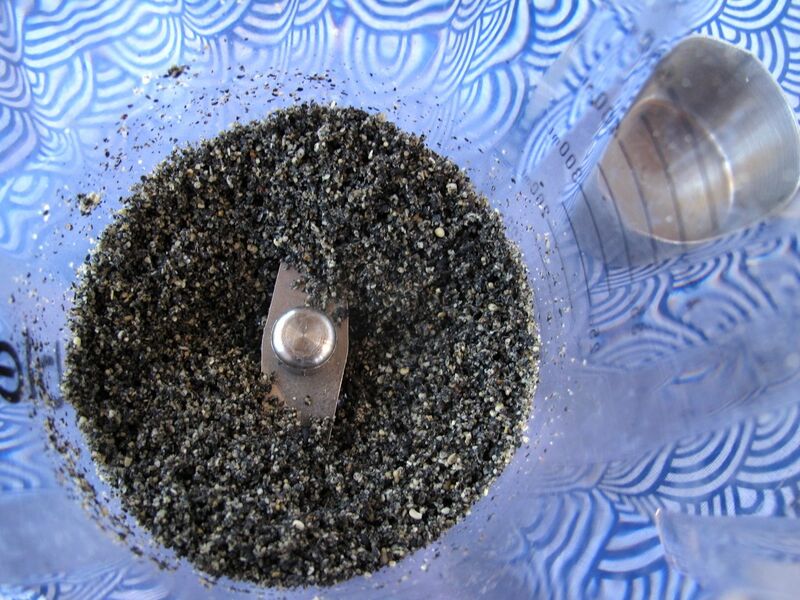 Grind the black sesame seeds by pulsing them in a coffee grinder (or in something else that works — the pulse setting on my Blendtec blender worked great, and a small food processor might work, too, but a large food processor will leave too many of the sesame seeds whole; the whole seeds will float to the top of the mochi when baking and form a crust… it will still taste good, though!). You want to pulse them until there are very few, if any, whole seeds left, but not so much that they form large clumps or a paste. In other words: stop before you make tahini. 3. 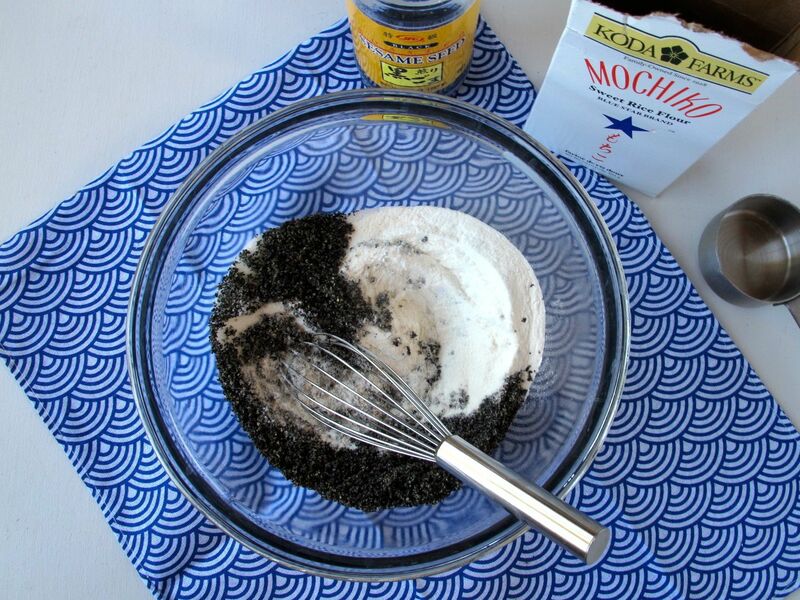 In a medium bowl, whisk together the mochiko, sugar, baking powder, sea salt, and ground black sesame seeds. 4. 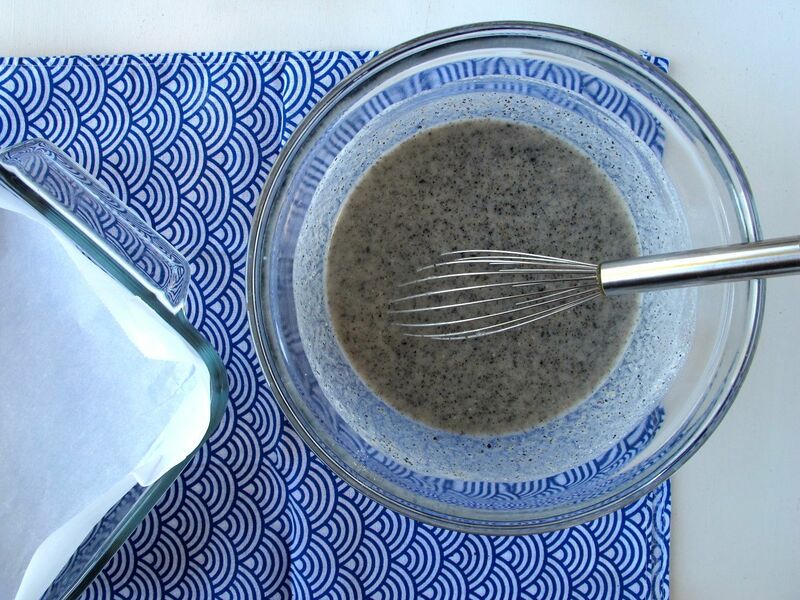 In a small bowl, stir together the coconut milk, water, and vanilla. [Or keep your small bowl clean, and pour the vanilla into the measured-out water or coconut milk, then pour each of those over the dry ingredients.] Add the wet ingredients to the dry ones and whisk until completely smooth. 5. 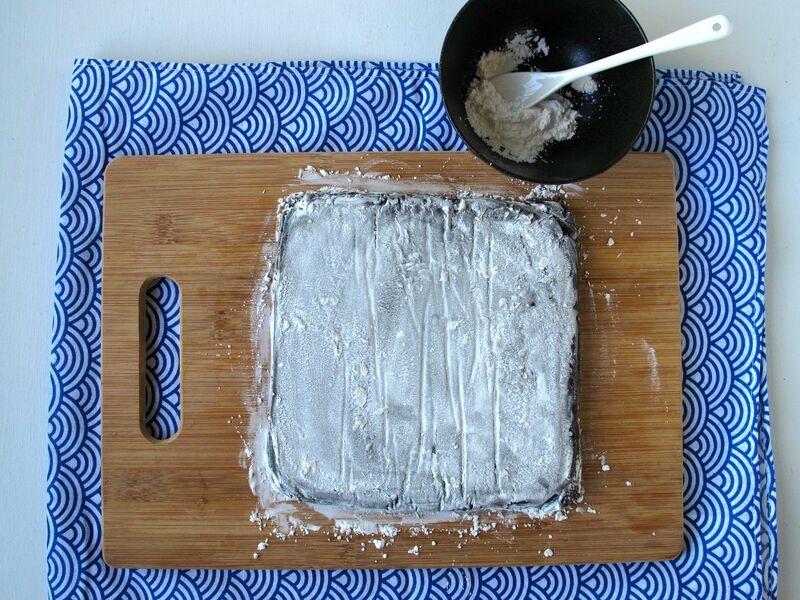 Pour into parchment-lined baking dish, cover the dish with tinfoil, tightly crimping the edges, and bake for 65-70 minutes, or until the mochi is “set” (solidified into a gel). You can test this by carefully touching the top and/or lifting one edge of the parchment out of the dish to look at the side. 6. Let cool completely. 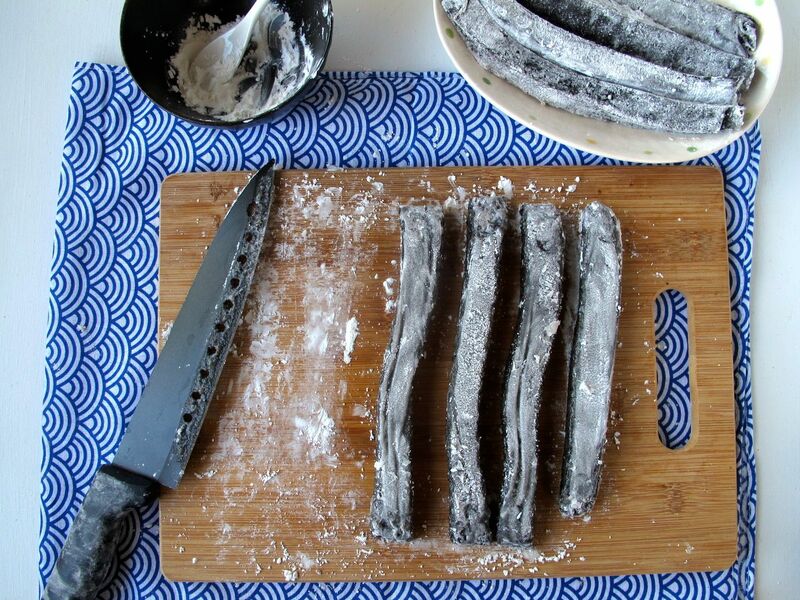 (You can eat it while it’s still warm, but it would be a mess to try to cut + coat with starch until it’s cool.) Then if the top of the mochi is sticky, dust it with cornstarch or potato starch — although usually I can skip this step because the top is far less sticky than the sides and bottom from drying out in the oven — then flip upside-down onto a cutting board, peel off the parchment paper, and dust the reverse side with starch as well. 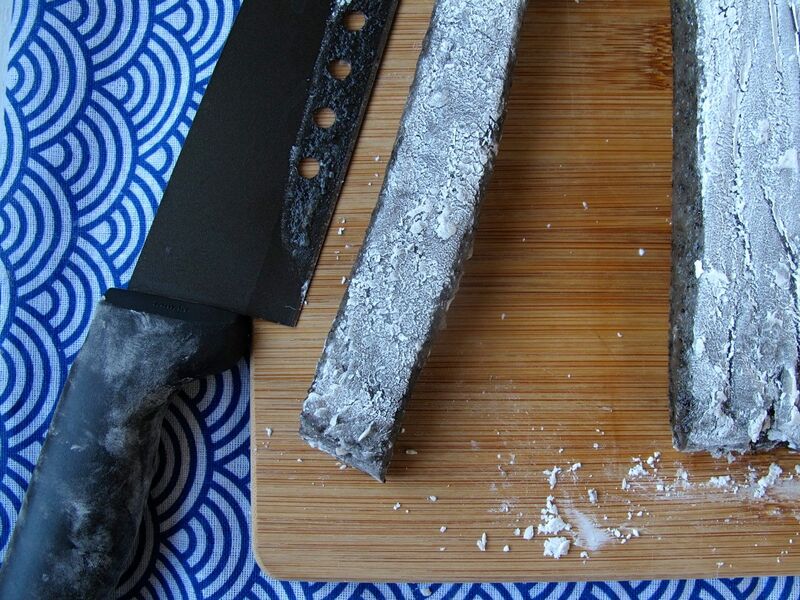 Use a sharp knife or a plastic knife to slice the mochi into strips, using a pinch or two of starch to coat the sticky edges of each strip. 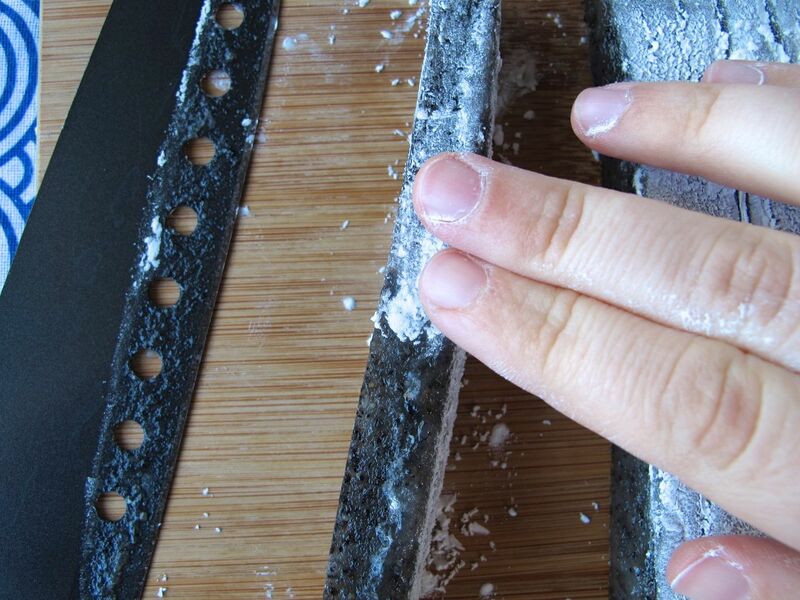 Then finally, cut each strip into small squares or rectangles, “dipping” each of the two remaining sticky sides into some starch, then wiping off the excess starch. 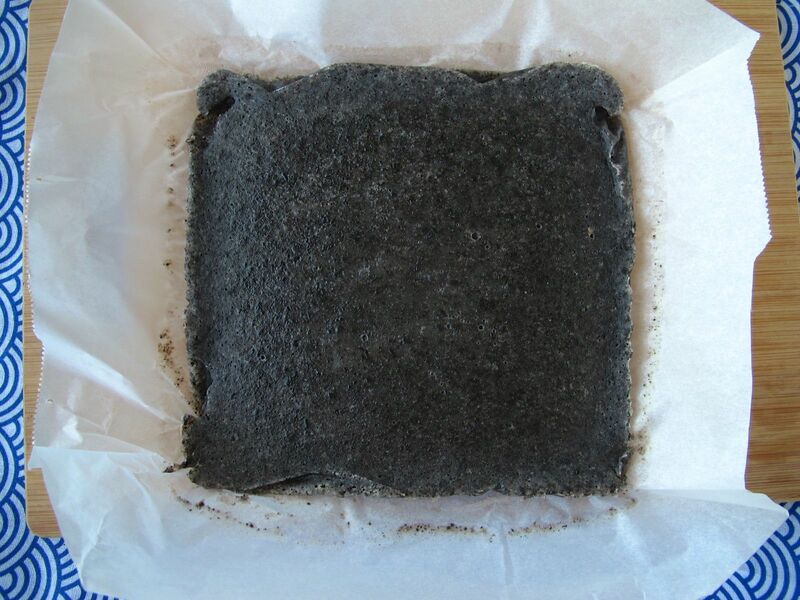 Serve right away, or keep at room temperature, lightly covered (not in a sealed container) and out of direct sunlight, for up to two days, and/or refrigerate for up to a few more days (but refrigeration will dry it out slightly, and condensation inside a sealed container in the fridge means some of the pieces will start to stick together a bit, and might need an extra dusting of starch). Try it in/on ice cream, or by itself as a dessert or snack. Never tried this, but it immediately excited me because it looked like Turkish delight! But I’m guessing significantly less sweet? Don’t get me wrong, though — these are still really sweet! 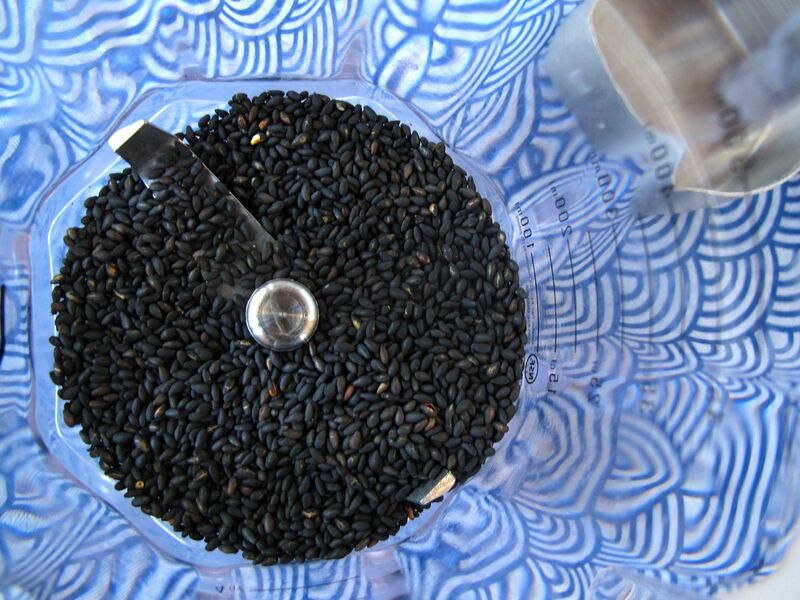 :) …which might be why I like the “black sesame” and “sea salt” flavors of the storebought kind better than the fruity flavors (even though they probably all have the exact same amount of sugar in them, but the fruit flavors somehow make the sweetness more prominent). Thanks for the comment! :) It was a wonderful trip, and I hope the first of many back there with Paula (although we might have to go once a decade instead of once a year like I used to, since plane tickets cost so much these days!). Yes, it was a really cool concept, and (of course) with really good food! I forget the name of the market/alley, but it was in the Seochon neighborhood of Seoul, which is an older neighborhood (north of the river), but one that’s gotten newly popular/trendy just in the last year or two. well I ‘ll put it on my bucket list! yum!!!!! going to try this for sure! Glad you made it home safely. Sounds like a wonderful trip! Truly sorry to have made you jealous, but I know what you mean — traveling is the best! And I will never get sick of going back to Korea/Japan over and over again, even though I also want to (& feel like I should) travel to brand new places, too. If only plane tickets weren’t so expensive!! 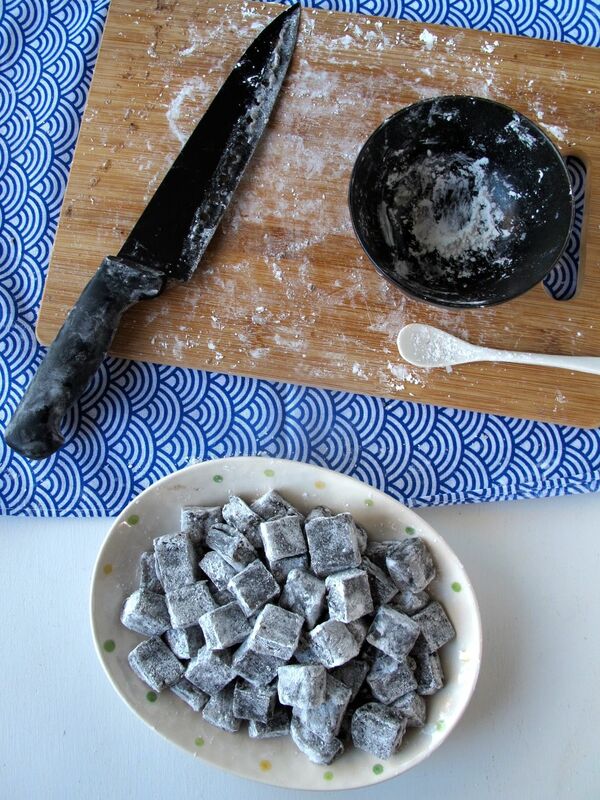 Mochi + black sesame? Oh, how I want to try this! Thanks! Yes, that’s something I’ve discovered recently when bringing these in to share at work (and when giving people kibidango souvenirs brought back from Japan) — a lot of people in the U.S. have only tried mochi wrapped around ice cream, but not mochi dango. These are all my mochi and black sesame dreams come true! They look SO, SO good. I’m so excited to try them!! Thanks, Cynthia! I’ve been wanting to make these ever since you posted your awesomely simple baked mochi recipe — so for a while now! i love, love, love mochi. it has such a great chew, and it’s probably one of my favorite japanese desserts (aside from red bean filled manju). can’t wait to make a pan and see what my other mochi-obsessed friends think. 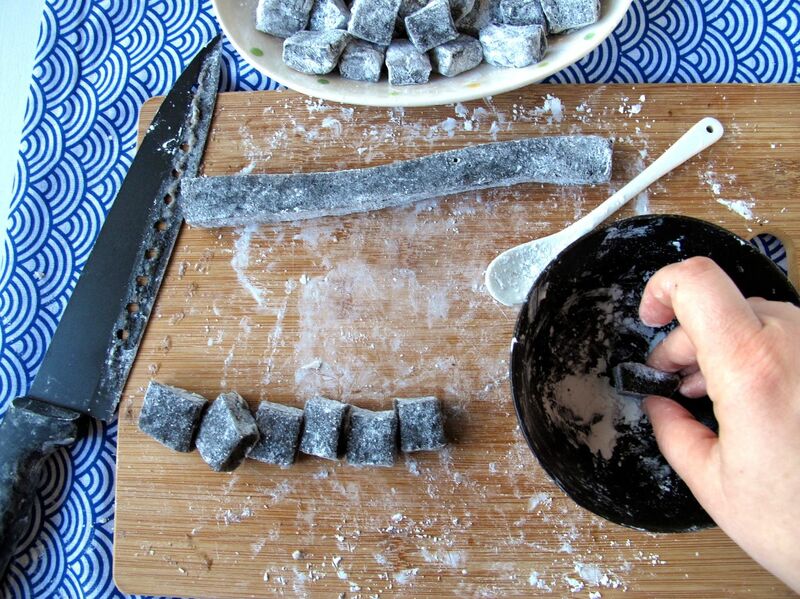 Never tried that before but I have tried black Kombu (Kelp) candy long time ago. Sesame looks more tasty. 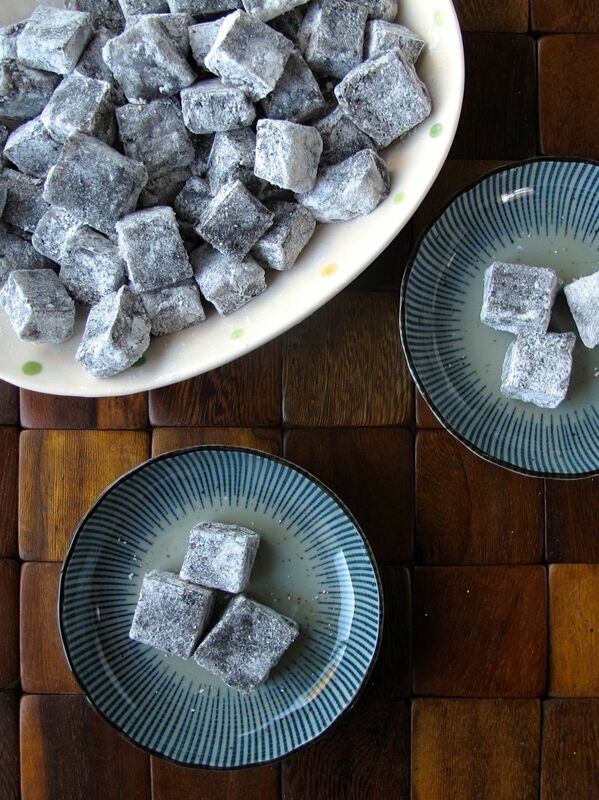 Black sesame (+ sugar) desserts, including mochi dango, are definitely tasty! I don’t think I’ve ever tried any kombu mochi or candy! 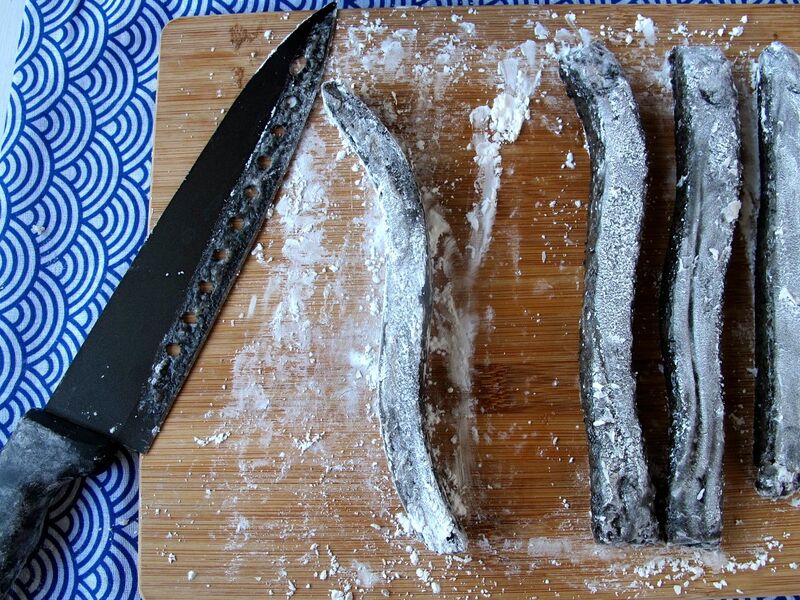 I’ve only had kombu in non-sweet things… but that sounds interesting too!